How over the moon would you feel if an astronaut sent you a personal message of thanks, all the way from space? 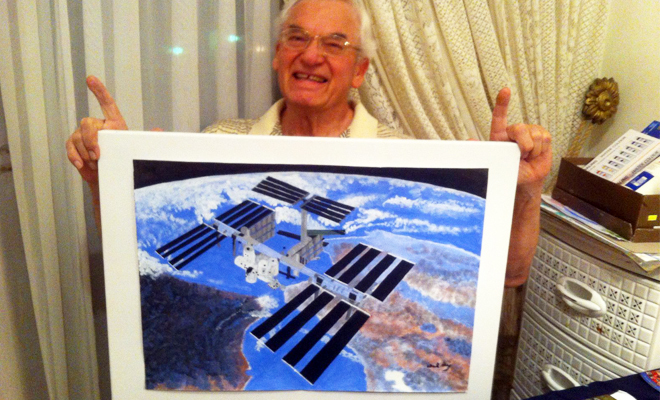 Walter Reynecke, a 74-year-old painter with Parkinson’s disease, was ‘over the moon’ after his painting of the International Space Station (ISS) was noticed by one of his favourite astronauts in space. Walter, who has never had an art lesson, only started painting six months ago. Yet his newfound talent hasn’t gone unnoticed, even from 400km in orbit around Earth. @SharronSweetnam Walter that's a great painting – I love it! 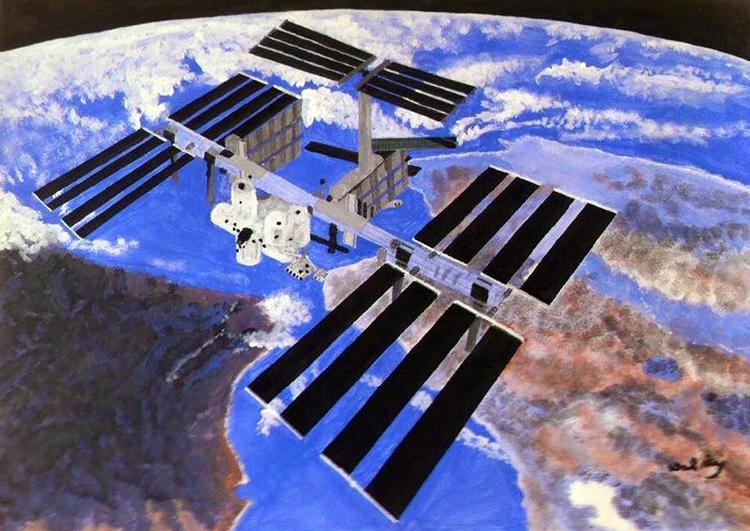 After seeing a photo of the ISS taken by the Hubble Telescope, Walter was inspired to paint the satellite specifically to scale. It took two days to measure out the scale of the image, and another three days of painting to complete the work. Having been diagnosed in 2009, the father-of-three needed a new hobby and now uses painting as a means of taking his mind off his condition. “I needed to replace my hobby of reading and I discovered some painting instruction books in our home along with a set of watercolour paints. It became more and more evident to me that I seem to have a ‘hidden’ talent, which developed quickly. “I literally drift off into a world of colour and live so much into what I am creating in front of me that it takes my mind completely off my problems. I enjoy this more and more every day,” Walter added. “The pleasure painting gives me cannot be bought with money. I realise how blessed I am. 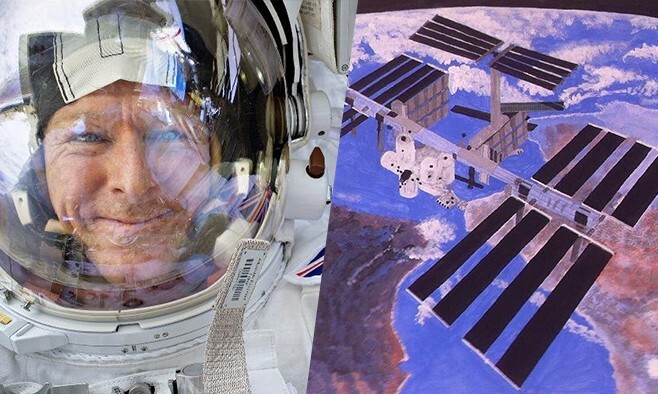 Just to see the pleasure my finished paintings give to my friends and new ‘fans’ everywhere (even in space), makes me happy and encourages me to keep going like this. I’m so proud of my grandpa! It’s amazing to see how far he has come, and I couldn’t be more proud! <3 Love you Wally! Why are people with Parkinson’s more creative?